Sorbus - 10 Knot Out! In 2017 Sorbus International Limited are celebrating 10 years in business. 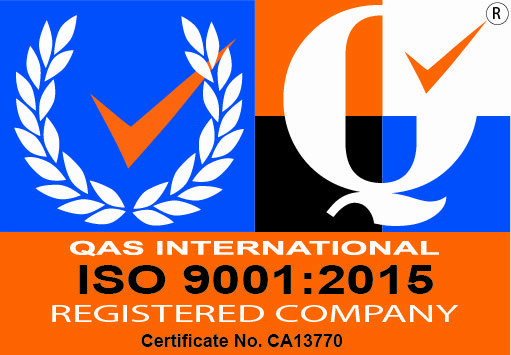 This milestone has been reached with invaluable support from our staff, suppliers and of course our customers. Directors & co-owners Phil & Nicky Wade both worked for the multinational Japanese subsiduary Fujikura Europe Ltd; based in Westbury, Wiltshire; which is where they were first introduced to the world of arboriculture & forestry. In the mid 1990’s (it is difficult to recall exactly when), Phil received a call out of the blue from the Alice Holt Forest Research Station, regarding an ultrasound device – the Ultrasonic Decay Detector (UDD) – which was used for detecting & measuring decay in wood telegraph poles. Asked if the device had ever been used to try & detect decay in trees - the answer was ‘no’ and here the story begins. After several months of trials it was evident that the UDD could detect advanced andincipient decay in trees. A more powerful version – the Arborsonic Decay Detector (ADD) was produced specifically for tree inspection and over 300 ofthese devices were sold in the UK alone, mainly to Local Authorities, Consultants & Contractors – and some of these are still in use to this day! Sales continued to grow steadily, but it was never part of Fujikura’s core business and in 2007 they decided to pull out of arboriculture and forestry altogether, giving Phil & Nicky the opportunity to take over this business. In retrospect it was the best thing that could have happened because within a week Sorbus International Ltd was formed – right in the middle of a recession! The support we got from our suppliers, customers and the Arboricultural Association was and continues to be incredibleas we could never have achieved what we have without this support. The product range was expanded to include other hitech products such as the IML range of microdrills, the PICUS range and Haglof survey devices together with specialist equipment, PPE & clothing for professional arborists. Sorbus continued to operate from the Westbury premises for 6 months or so until the move to a new business unit in Frome, Somerset was completed. In 2015, with the Sorbus annual growth rings getting larger and the existing premises bursting at the seams; Sorbus moved to a much larger facility in Frome complete with trade shop, showroom & even a climbing wall for visiting customers to ‘try before they buy’. The first ten years has flown by and who knows what the next ten years will bring? One thing that is certain is that everyone at Sorbus will do their very best to continue to provide the very best high quality products and service to the arboriculture & forestry sectors. Based in Frome, Somerset; Sorbus International Ltd supply a comprehensive range of Specialist & Hi-tech equipment for Arboriculture, Forestry, Utilities, Grounds Maintenance, Landscaping and Environmental Care in the UK & worldwide. Our range includes products for all aspects of tree care - climbing, bracing, lowering, personal protection (PPE), safety, first aid, pruning (we are master distributors of the excellent Japanese ARS range), corporate / hi-viz / wet weather clothing and general workwear. We pride ourselves on being able to offer a ‘one stop shop’ service to all our customers. All of our load bearing equipment is marked with a unique identification code and issued with a Certificate of Conformity to meet the latest safety requirements. Please do not underestimate the importance of having correctly marked and conforming equipment. Sorbus are also market leaders in the supply and technical support of a wide range of traditional & Hi-Tech equipment for wood decay detection (trees, utility poles, construction wood) & survey work. This includes the IML range of microdrills & Fractometers; PICUS sonic tomography, TreeTronic electrical resistance tomography, TreeQinetic pulling systems and TreeMotion Sensors. As the Master UK Distributor of the excellent Haglof Sweden range of forestry related products we offer the entire range including ultrasonic & laser measurement devices (Vertex IV & Geo devices) and innovative computer calliper systems for fast & accurate plot surveys & mensuration. We welcome the opportunity to supply equipment on a contract basis and if you cannot find what you are looking for on this site, please call or send us an email as we are always happy to expand our product range to meet customer requirements.